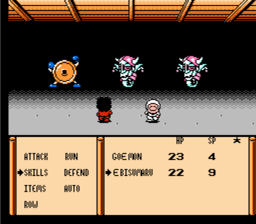 Ganbare Goemon Gaiden 2 is the second (and final) turn-based Goemon RPG for the Nintendo Entertainment System. 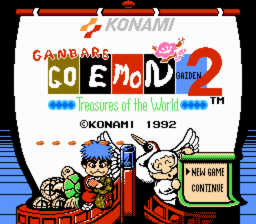 Story-wise, GGG2 is about Goemon and Ebisumaru entering a “Thievery World Tournament” where the aim is to gather 8 keys which unlock a door that leads to a legendary treasure. There’s no race against the clock or anything though; you can play at your own pace. The look of the battles was changed from the first game. They now bear a closer resemblance to Phantasy Star II, with more animations and special effects. The difficulty was ramped up significantly, too, and the dungeon areas were made much longer. It deviates from the usual, predictable town - dungeon - town - dungeon formula that a lot of other RPGs follow, and manages to keep things interesting. 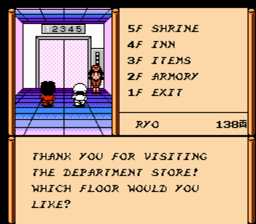 There are a couple of references to the first Ganbare Goemon Gaiden in this game, so you might want to play that game before this one if you’re bothered about that sort of thing, but it’s still perfectly playable if you don’t. 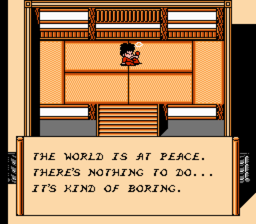 Version 1.00: This is a 100% complete English translation of Ganbare Goemon Gaiden 2: Tenka no Zaihou with no known errors. 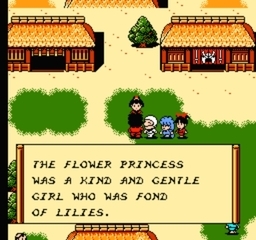 However, some emulators may have issues running this game. Please refer to the Readme file provided.